Persol glasses are classic fashion eyewear for men and woman who appreciate fashion history and unique Persol workmanship. Person glasses have been around for over 50 years and are still made at the original factory that still maintains old school approach to eyewear making. Handcrafted in Italy Persol eyeglasses have an excellent acetate polish and hand assembled temples for a perfect flex. 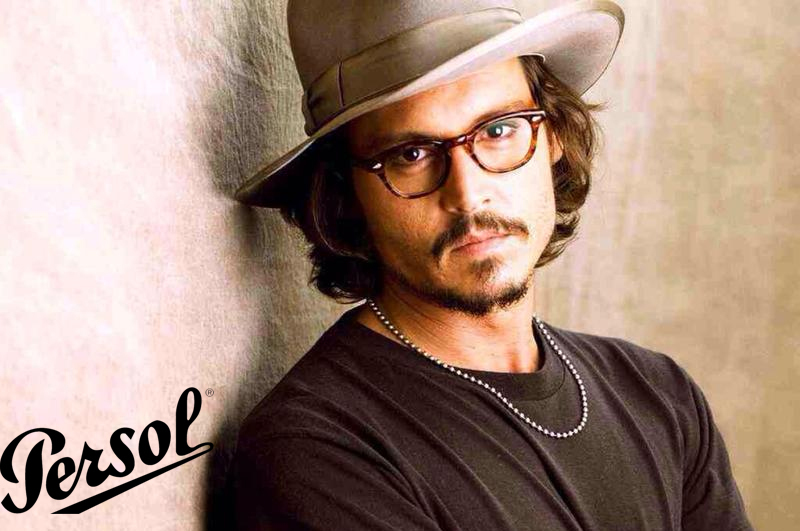 Many celebrities were seen to own Persol eyeglasses. George Clooney, Steve McQueen, Pierce Brosnan, Tom Cruise and countless more. When you wear Persol glasses you can be confident to look stylish and elegant, in the same time you will look yourself without trying too hard. Buy authentic Persol glasses on EyeInform website. Shop with confidence to buy Persol glasses with prescription lenses or simply just Persol glasses frames without prescription lenses. Buy Persol PO9714VM glasses online at a friendly price. Originally made in 2015, Persol PO9714VM are lightweight plastic frames. Each pair of authentic Persol glasses ships worldwide with authenticity certificate, Persol box, case and a cleaning cloth. Buy Persol PO3124V glasses online at a friendly price. Originally made in 2015, Persol PO3124V are lightweight plastic frames. Each pair of authentic Persol glasses ships worldwide with authenticity certificate, Persol box, case and a cleaning cloth. Buy Persol PO3121V glasses online at a friendly price. Originally made in 2015, Persol PO3121V are lightweight plastic frames. Each pair of authentic Persol glasses ships worldwide with authenticity certificate, Persol box, case and a cleaning cloth. Buy Persol PO3117V glasses online at a friendly price. Originally made in 2015, Persol PO3117V are lightweight plastic frames. Each pair of authentic Persol glasses ships worldwide with authenticity certificate, Persol box, case and a cleaning cloth. Buy Persol PO3115V glasses online at a friendly price. Originally made in 2015, Persol PO3115V are lightweight plastic frames. Each pair of authentic Persol glasses ships worldwide with authenticity certificate, Persol box, case and a cleaning cloth. Buy Persol PO3109V glasses online at a friendly price. Originally made in 2015, Persol PO3109V are lightweight plastic frames. Each pair of authentic Persol glasses ships worldwide with authenticity certificate, Persol box, case and a cleaning cloth. Buy Persol PO3107V glasses online at a friendly price. Originally made in 2015, Persol PO3107V are lightweight plastic frames. Each pair of authentic Persol glasses ships worldwide with authenticity certificate, Persol box, case and a cleaning cloth. Buy Persol PO3105VM glasses online at a friendly price. Originally made in 2015, Persol PO3105VM are lightweight metal frames. Each pair of authentic Persol glasses ships worldwide with authenticity certificate, Persol box, case and a cleaning cloth. Buy Persol PO3094V glasses online at a friendly price. Originally made in 2015, Persol PO3094V are lightweight plastic frames. Each pair of authentic Persol glasses ships worldwide with authenticity certificate, Persol box, case and a cleaning cloth. Buy Persol PO3092V glasses online at a friendly price. Originally made in 2015, Persol PO3092V are lightweight plastic frames. Each pair of authentic Persol glasses ships worldwide with authenticity certificate, Persol box, case and a cleaning cloth. Buy Persol PO3050V glasses online at a friendly price. Originally made in 2015, Persol PO3050V are lightweight plastic frames. Each pair of authentic Persol glasses ships worldwide with authenticity certificate, Persol box, case and a cleaning cloth. Buy Persol PO3012V glasses online at a friendly price. Originally made in 2015, Persol PO3012V are lightweight plastic frames. Each pair of authentic Persol glasses ships worldwide with authenticity certificate, Persol box, case and a cleaning cloth. Buy Persol PO3007V glasses online at a friendly price. Originally made in 2010, Persol PO3007V are lightweight plastic frames. Each pair of authentic Persol glasses ships worldwide with authenticity certificate, Persol box, case and a cleaning cloth. Buy Persol PO2886V glasses online at a friendly price. Originally made in 2010, Persol PO2886V are lightweight frames. Each pair of authentic Persol glasses ships worldwide with authenticity certificate, Persol box, case and a cleaning cloth. Buy Persol PO2410VJ glasses online at a friendly price. Originally made in 2010, Persol PO2410VJ are lightweight frames. Each pair of authentic Persol glasses ships worldwide with authenticity certificate, Persol box, case and a cleaning cloth. Buy Persol PO2374V glasses online at a friendly price. Originally made in 2010, Persol 2374V are lightweight metal frames. Each pair of authentic Persol glasses ships worldwide with authenticity certificate, Persol box, case and a cleaning cloth.